“You could take pictures on the walk and write about that,” he said. I didn’t have a better plan and he really wanted to go on a walk, so I gave in at that point and we headed out the door. The first thing I saw was our little garden patch in the back yard. 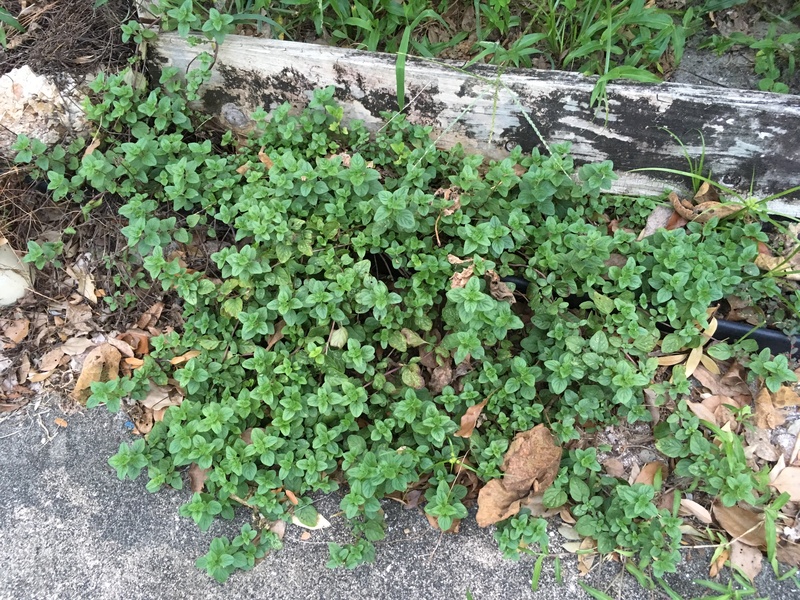 The oregano had been wilted and bedraggled after our most recent heat wave but then Tropical Storm Hermine passed by and gave us rain. It looks perky now. 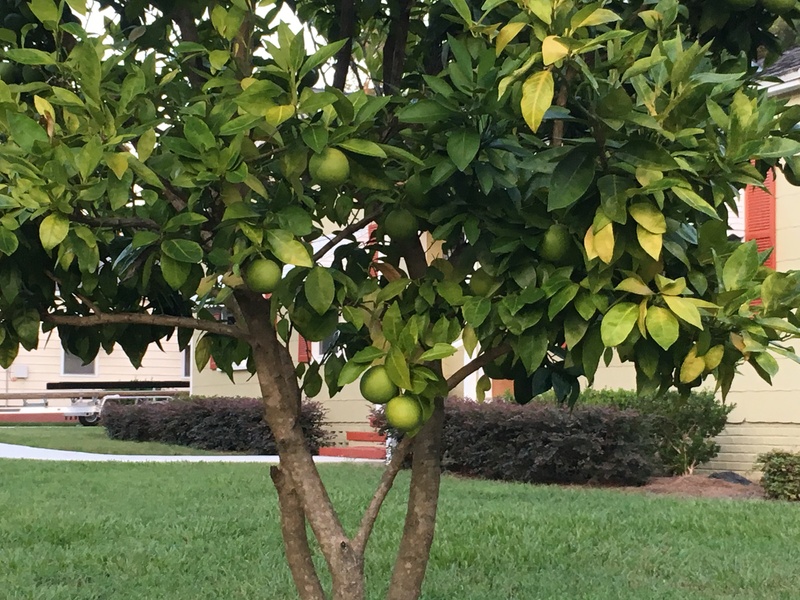 Next was our neighbor’s small citrus tree. If you are a regular follower of this blog, you may remember seeing a small painting of this tree during last year’s landscape challenge. It’s still pretty cute. I may have to paint it again. After that, we noticed something we have to watch out for or we end up bringing them home on our shoes – hitchhiker burrs. 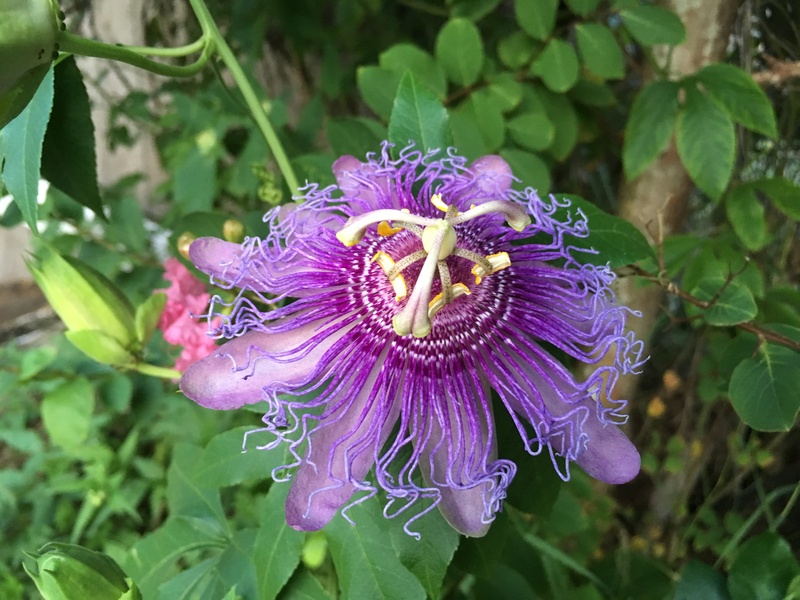 This passion flower was spectacular. It was very near the sidewalk so I could get a good shot of it without zooming or trespassing. 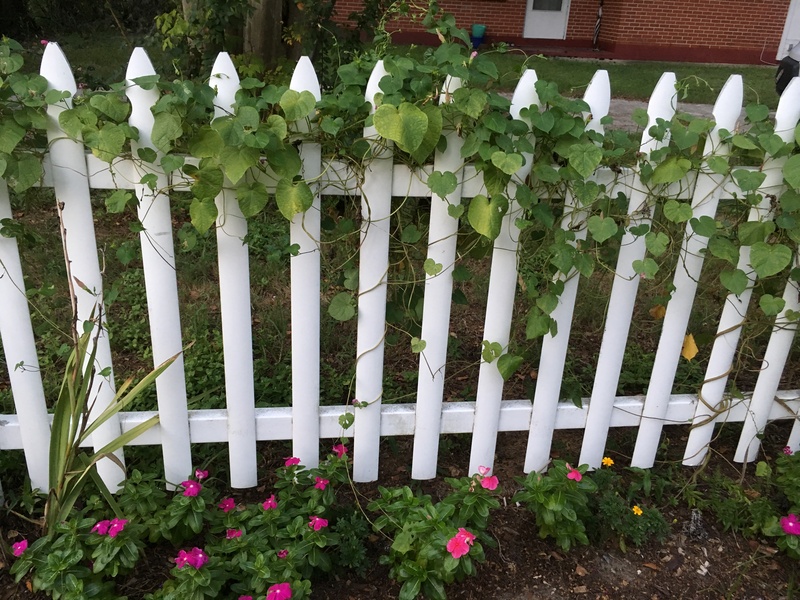 I love this white picket fence with flowers at its feet. 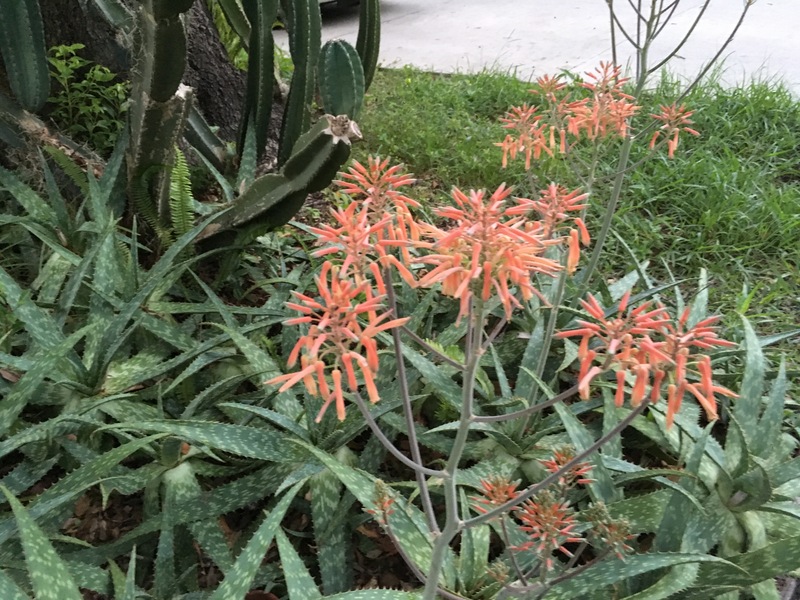 We wandered on and came to a cactus garden in full bloom. 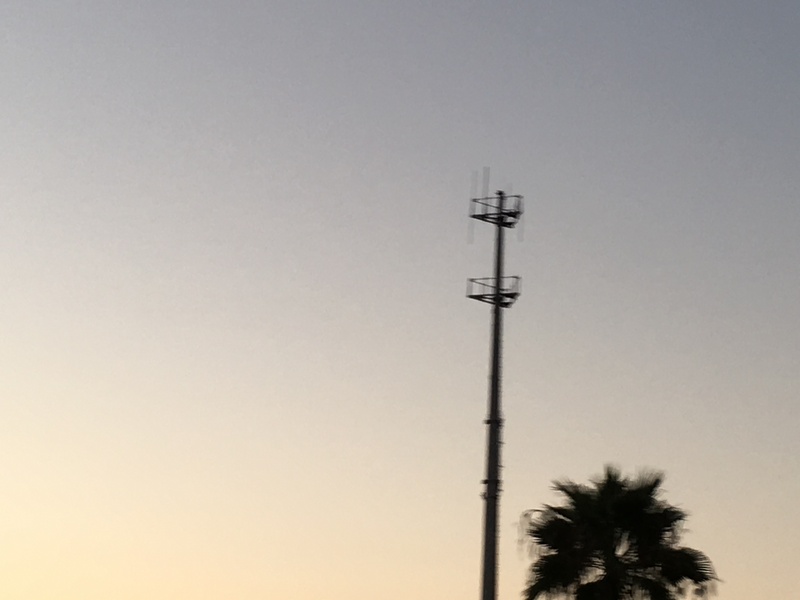 We often see bald eagles on this phone tower, but you’ll have to take my word for it. They didn’t show up this time. We never know what we might see when we’re walking through our neighborhood. 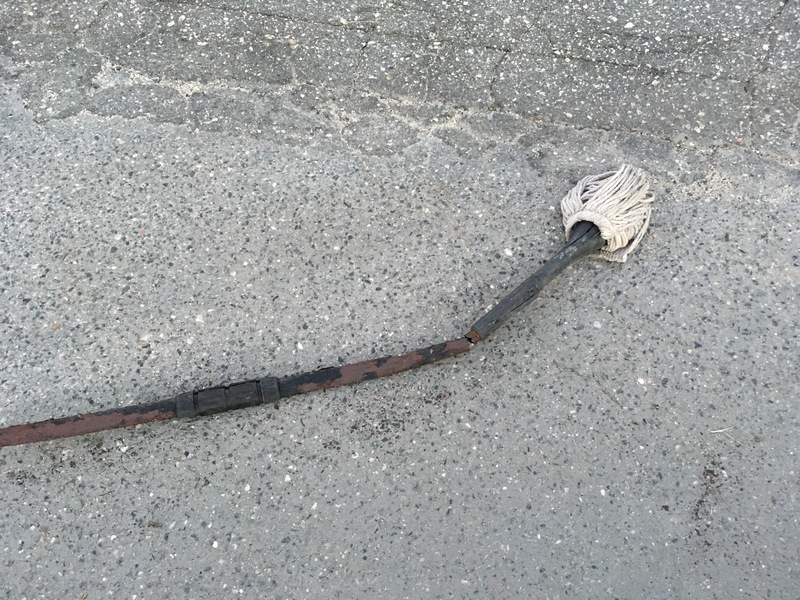 We have no idea why there was a dead mop in the road, but we can all make up interesting stories about it now that we have a picture. We could have turned toward home at that point and had a short walk, but if I was going to walk at all, I wanted to hit the one and only Pokestop within reasonable walking distance of my house, so we continued on until we arrived at the community garden. This was the first time I had ever seen a lure on this Pokestop. Even with the lure, I only got a Pidgey and a Rattata before we walked on. I don’t think the young man who placed the lure even got those two. He was involved in a heated telephone conversation as we passed by. 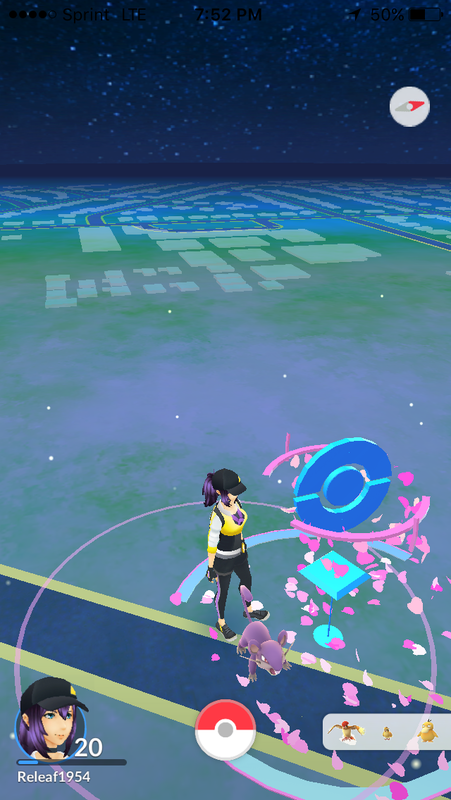 Once I hit the Pokestop, I noticed that it was getting dark, but it was too late to take the short route home, so we kept going around the two neighborhood schools. 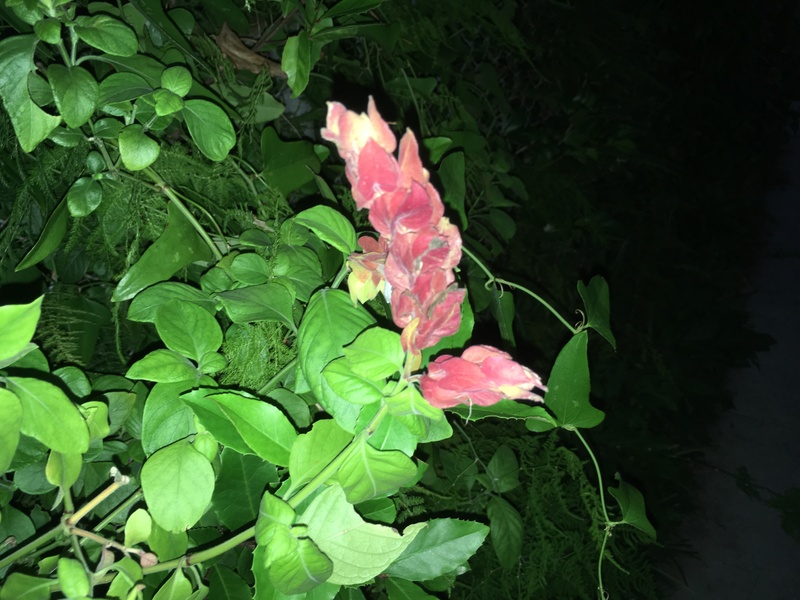 I had to use the flash to get this pretty shrimp plant. 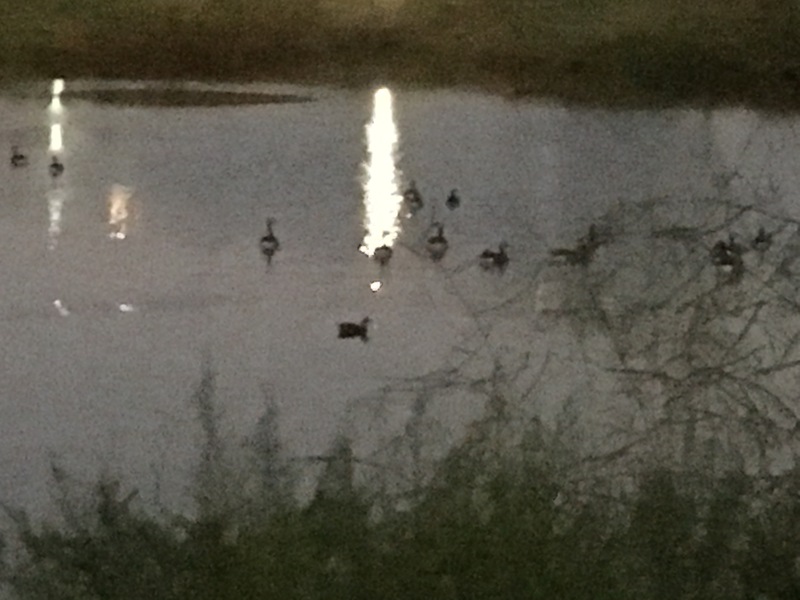 There’s a retention pond between the two schools and I couldn’t resist trying to get a picture of all the ducks settling in amid the reflections of the schoolyard lights. There was barely any light left in the sky as we hurried back to our house. I wish I could have taken a picture of the owl that swooped over us as we neared our driveway, but it happened too fast for me to capture it. 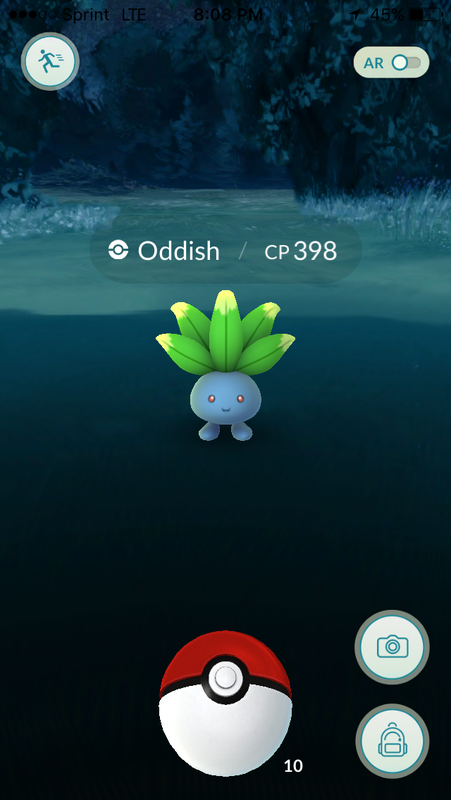 I did get this oddish, though. 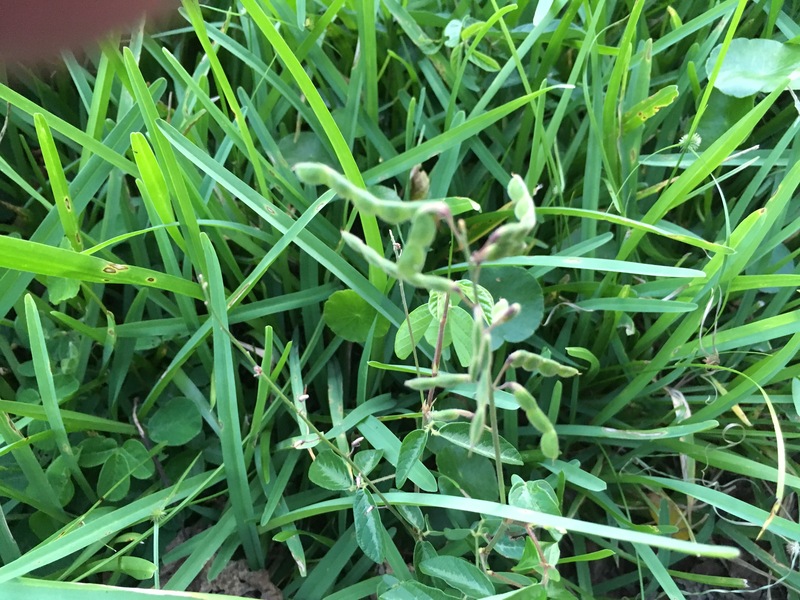 This entry was posted in Uncategorized and tagged cactus, ducks, Passion Flower, Pokemon Go, walk on September 7, 2016 by releaf1954. I love all the pictures, the flowers especially. Yay for Pat! It was a nice walk. I just wish we could have started it earlier.